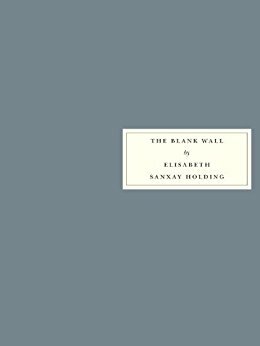 the crime segments: The Blank Wall, by Elisabeth Sanxay-Holding: A yes in my book. This books sounds good. 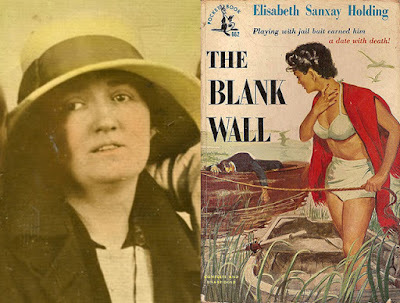 Love books by women about women, including in crime fiction. And this one sounds juicy and full of social issues. Now to find this one and check with the library. Or perhaps Abe Books. The library has a book with four mysteries by women writers from the 1940s, compiled by Sarah Weinman. It includes this one. the Library of America edition, right? There is also another edition by Sarah Weinman that includes eight crime fiction novels by women in the 1940s and 1950s, which I just noted at Amazon. Also, check out the Stark House trade pb editions which have reprinted almost all the Holding books by now. Thanks! Many are already on my shelves, just waiting to be read. I love her work.